Individuals who might be interested in finding out how to help every K-12 student in Amador get an arts education are invited to a free drop-in event on Friday, October 26, from 8:30 to 11:30 am. 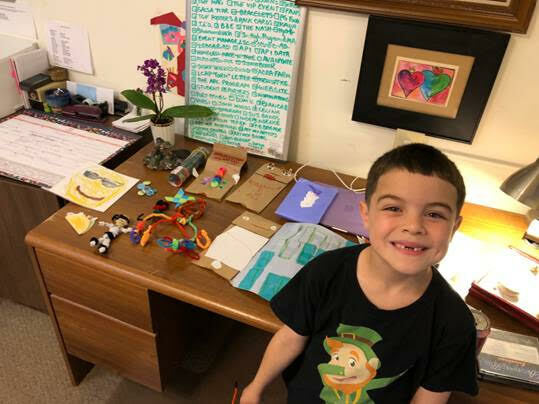 According to Meghan O’Keefe, “There are easy ways to make a difference.” She is the lead of the Amador Alliance for Arts Education (AAAE), a program of AmadorArts. The Open-House style event will be held at the new AmadorArts Office at 617 So. Highway 49, Jackson, CA in the Mother Lode Plaza, in the back corner next to Brown’s Floor Coverings. While enjoying light breakfast refreshments, connect with other residents who are advocates of the arts in our schools. AAAE is a coalition of stakeholders with ties to the similar statewide group who are helping the Amador County Unified School District achieve compliance with the State mandate for standard-based, sequential, and equitable K-12 Arts Education. You may contact O’Keefe at 209-256-8166.